That made me smile. Thanks for a great idea to display not only mugs but maybe other collections. Love this idea! Can't help feeling a little sorry for Santa though! His cute little face looks like it's squashed in there! I have some of these santas. I love them! 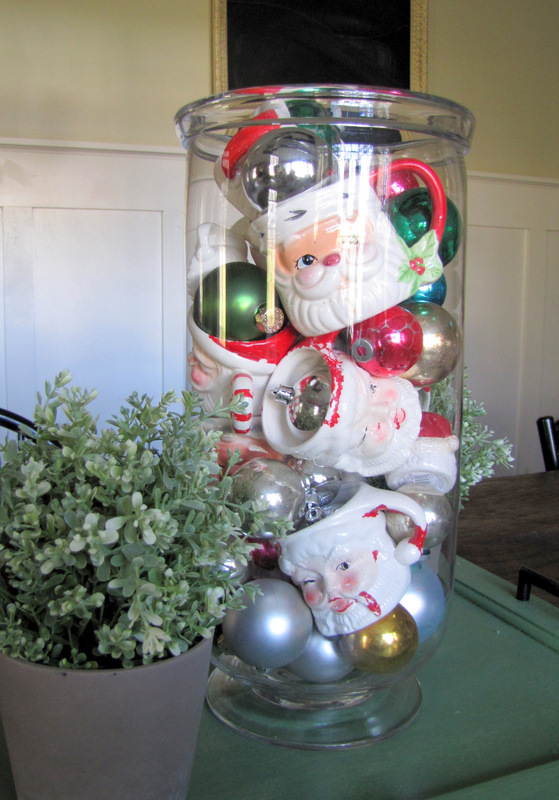 I love this idea of putting them in the jar! 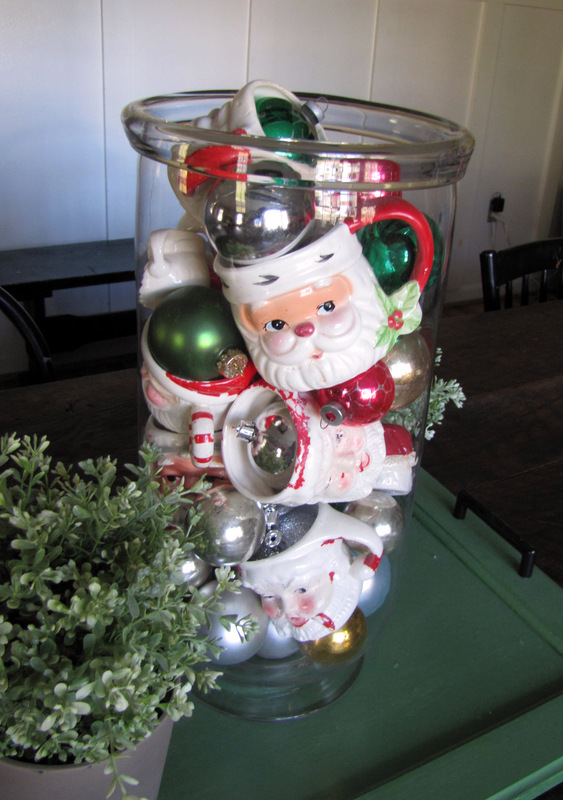 It makes the collection look so good and it cuts down on the dusting (heehee)! So cute! 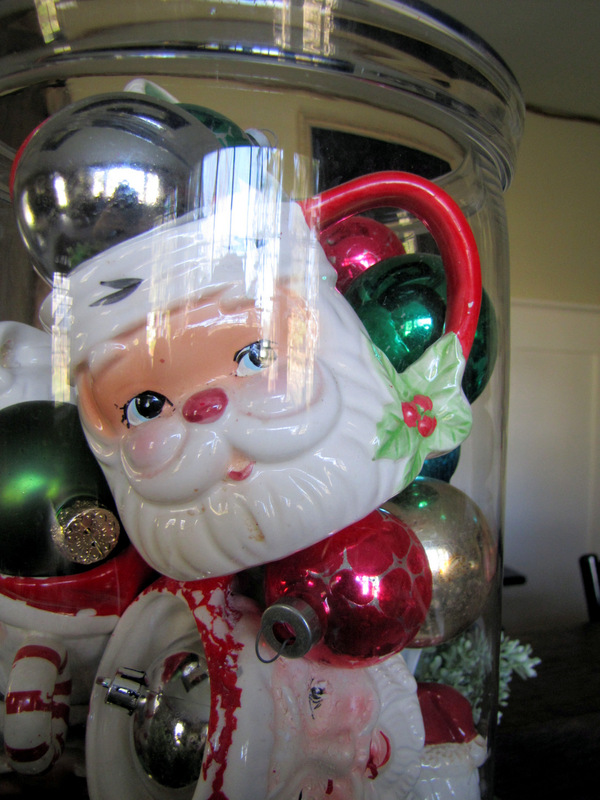 I need a safe place for my 2 mini santa mugs!